fairy tail Make Your Own Celestial Spirit! I know we can't have any more Golden Celestial Keys, But what about the other ones? Silver, Black, or whatever else you can think of. Write them down below! EX. Gate of the water bearer, Aquarius! Spirit Description(Animal Form): Resembles a paper crane, white in color with beady, drawn-on eyes. Spirit Description (Human Form): Small, pale male with no visible hair, though wears a paper hat which covers most of his head and his clothes also seem to be made of paper. His wings, however, are real feathers and bend in the center, creating the illusion of two pairs of wings. Attacks/Purpose: In a cold climate, the holder of this key can summon Fornax to sit inside to stay warm. Fornax can also be used to cook things or keep things warm. Furnax’s flames will not harm anyone. Spirit Description (Human): Tall, lanky dark-skinned man with shoulder-length, shaggy black hair and glowing green eyes with long irises. Wears a blue waist-coat with a white undershirt and black pants. Key Description: Secret's silver key has the charm of an open book. Weakness: Secret's cannot attack, defend, or fight in battles. Strength: Secret's brings out the emotions of their master. Attacks/Purpose: Secret stores all of their master's private information and businesses. Notice: This character is inspired by the Winx Club. Most of this information belong to the Winx Club Wikia. Spirit Description (Animal Form, If Any): Butterfly: Instead of being a monarchy, her butterfly mode changes her wings into crimson wings. The outline of the wings will be black. Spirit Description (Human Form, If Any): Diaspora has wavy pale blonde hair, orange eyes, and tan skin. She mostly wears a red-and-ivory corset dress with puffy sleeves and two light purple swirly bracelets that travel up her forearms. She also wears a light purple headband tiara with a large, red jewel. Key Description: Diaspora's pink key has the key handle of sunset wings, and she has a circular jasper at the tip of the key. Strength: Diaspora has the advantage in any precious gemstones nearby. * Gem Lancer: An attack spell that uses red gem shards to hurt enemies. * Ruby Shield: A defense spell that is a red shield. * Icy Ruby: Encases the opponent within a transparent crystal. * Gem Laser: Manifest gems that can blast streams of magic energy. * Ruby Circle: Create a neon pink ring that can restrain her opponent. Spirit Description (Human Form, If Any): Macy has fair skin with very long black-blue colored hair with a slight curl along the bottom and deep blue eyes and pale pink lips. Her hair often covers just one of her eyes. She would wear a navy-petal gown. Key Description: Myrica's silver key would by surrounded by vines. The key handle has a flower. * Blossom of the Lilo: An attack spell that attacks an opponent with magical pollen. * Petal Shield: A defense spell that forms a navy shield made out of flower petals. * Lilo Vines: Commands vines to capture the enemies. 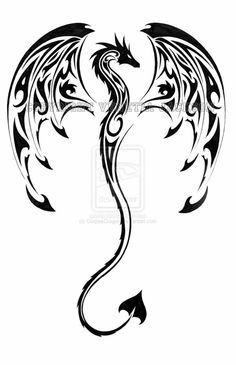 Spirit Description (Animal Form, If Any): A tall silver dragon with an ethernano glow emitting from under the scales, a pair of wings with the membrane the same color as the glow, a tail with a length of half his lenght, about half the size of the celestial spirit king. Spirit Description (Human Form, If Any): A normal sized human male with raven hair , a pair of wings with the membrane the same color as the glow, a tail with a length of half his height, and, clothes similar to Natsu's but black and no scarf. Key Description: Handle is shaped like a sleeping dragon and the tip is the head. Spirit Description (Animal Form, If Any): A tall silver dragon with an ethernano glow emitting from under the scales, a pair of wings with the membrane the same color as the glow, a tail with a length of half his length, about half the size of the celestial spirit king. Key Description: Handle is shaped like a sleeping dragon and the tip is the head and the symbol is a chinese dragon with wings. Key Description: Handle is shaped like a sleeping dragon and the tip is the head and the symbol is the added picture.